The first run of Ringen Göteborg, arranged by Gothenburg Free Fencers Guild, offers two days of historical wrestling on the 17th and 18th of September, 2016 in Hjällbo/Göteborg. 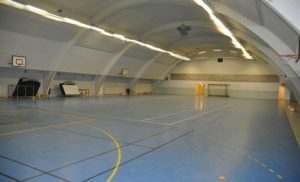 The goal is to get more participants in Ringen tournaments, like for example at Swordfish, besides heightening the wrestling competence among fencers in general. The ambition is to have this become a recurring training and workshop event, inviting instructors from around the globe from various disciplines to kick our asses. There will be interesting workshops and we are aiming to run as many training matches (under Swordfish rules) as possible for all participants. Meaning this is not a tournament, just a pure training event with very good instructors and world class participants!